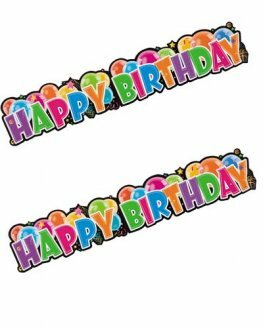 A Huge Selection Of Happy Birthday Banners And Happy Birthday Flag Bunting To Decorate And Celebrate Birthday Occasions At Fantastic Wholesale Prices. 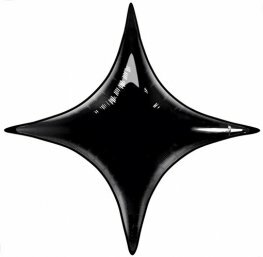 Our Selection Of Sticky Dots And Blu Tack Is Perfect For Putting Banners And Bunting Up. 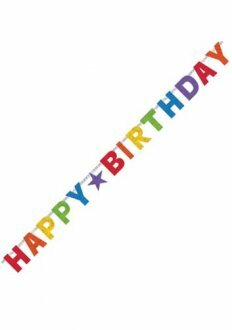 Happy Birthday Primary Rainbow Foil Banners 7.6m Long. 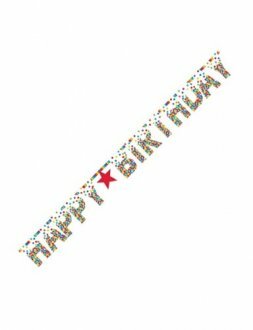 Happy Birthday Primary Rainbow Prismatic Letter Banner With Star 2.4m x 16cm. 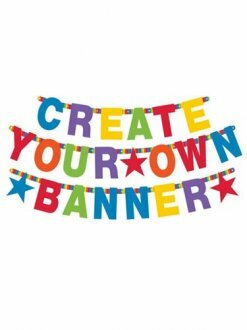 Primary Rainbow Create Your Own Customised Banner. 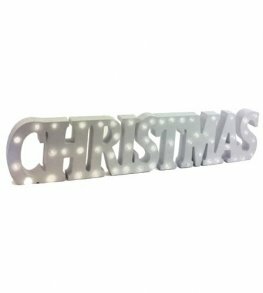 The Customisable Primary Rainbow Banner Contains 68 Letters, Numbers 0-9, 6 Stars & Fasteners. 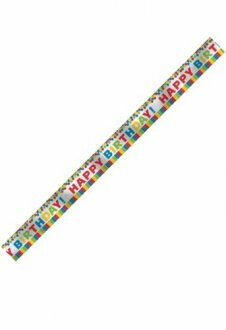 Happy Birthday Giant Jointed Birthday Banner. This Banner Is 4.5ft Long. 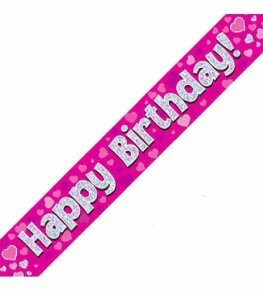 Make Someones Day Extra Special With This Pink And Silver Happy Birthday Fringed Banner. 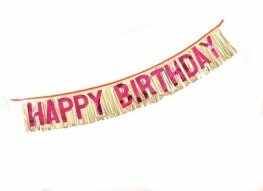 These HAPPY BIRTHDAY GLITTERING FOIL BANNER Can Be Folded In Half To Display More Designs At A Time. 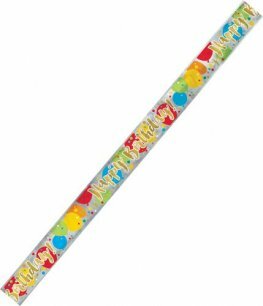 The Birthday Banner Is 12ft Long. Happy Birthday Pink Holographic Banner. This Holographic Banner Is 9ft 2.7m Long. The Happy Birthday Is Repeated 3 Times. 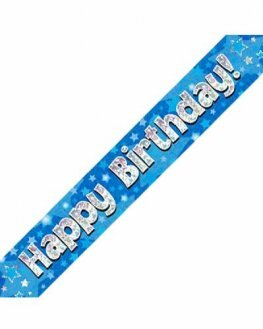 Happy Birthday Blue Holographic Banner. This Holographic Banner Is 9ft 2.7m Long. The Happy Birthday Is Repeated 3 Times. 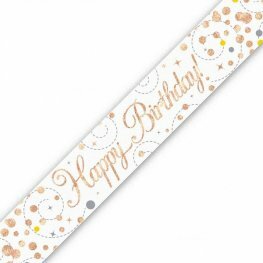 These GLITZY GOLD HAPPY BIRTHDAY FOIL BANNER Can Be Folded In Half To Display More Designs At A Time. The Birthday Banner Is 12ft Long. These THE PARTYS HERE holographic BANNERS can be folded in half to display more designs at a time approx 2.6m x 110m long.